Eliot Cutler: As a public servant, Eliot Cutler helped craft America’s foundational environmental laws and managed the policies and budgets of federal energy, natural resources, science and environmental agencies. He was an independent candidate for governor of Maine in 2010 and again in 2014. As a strategist and lawyer for governments, business corporations and citizen groups, Cutler helped clients grapple with worldwide legal and public policy problems during a career in three law firms and two countries that spanned more than 35 years. As an active entrepreneur, businessman and investor, Cutler has helped start and manage successful businesses, served on the boards of directors of private and public companies and advised and managed private and public philanthropic organizations. He is currently the Chairman and President of the Lerner Foundation, one of Maine’s largest foundations, which is focused on increasing the aspirations of children in Maine’s rural communities and small Cities. As the founding CEO of the Maine Center for Graduate Professional Studies in the University of Maine System, Cutler led the effort to establish the nation’s first integrated consortium of graduate business, law and public policy programs. He now serves as Senior Adviser to the Chairman and to the CEO of Thornburg Investment Management, one of the world’s 200 largest asset managers, and is responsible for the development of the firm’s business in Greater China. 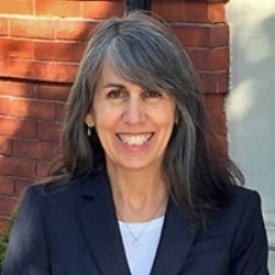 Leslie Silverstein: Leslie Silverstein received her law degree from Tulane University, and has been in private practice in Portland since 1989. She is now the principal attorney of Maine Immigration Attorneys. Leslie is a member of the Immigrant Legal Advocacy Project’s (ILAP) Pro Bono Panel, handling asylum cases on a volunteer basis. In 2014, she was named ILAP Pro Bono Attorney of the Year. Leslie has also been a member of the Maine Volunteer Lawyer’s Project Domestic Violence Pro Bono Panel since 2006, and has won several statewide awards for her services on the panel. She is currently serving as ILAP’s Board President. In 2015, Leslie received the American Bar Association’s acclaimed Pro Bono Publico Award—given to only five recipients in the nation. She was the only solo practitioner selected. Ethan Strimling: Ethan Strimling is currently the Mayor of Portland, Maine. Mr. Strimling also served in the State Senate for six years representing Portland as Chair of the Labor and Criminal Justice Committees, while also serving on Taxation. He also Chaired Maine’s Homeland Security Task Force. Prior to becoming Mayor, Mr. Strimling spent 19 years as the CEO of LearningWorks, a not-for- profit providing learning opportunities for at-risk youth, the immigrant community, and low-income families. Additionally, Mr. Strimling spent 8 years as a Political Analyst for the local NBC and CBS affiliates, as well as writing a column for the Maine Sunday Telegram and the Bangor Daily News. Before working at LearningWorks, Mr. Strimling ran Treasurer Dale McCormick’s campaign for US Congress and he worked on legislative policy for Maine Congressman Tom Andrews. He earned a Bachelor’s degree from the University of Maine, a Master’s degree from Harvard University, and he attended the Juilliard School as a Theater Student. Cathy Breen: Senator Cathy Breen serves on the Joint Standing Committee on Appropriations and Financial Affairs. Before her service in the Maine Senate, she served on the Falmouth Town Council from 2005-2011, and served two terms as Chair. She also serves on the Board of Directors of Spurwink Services, Inc. She lives in Falmouth with her husband, Jay Geller, and has two young adult children. Jess Knox: Jess Knox is a entrepreneurship ecosystem builder, system-thinker and agitator for progress. After almost 20 years in grassroots organizing and serving as a senior appointee in the Obama Administration, Jess returned to Maine to help transform the economy. He directs and supports a number of organizations including, Maine Accelerates Growth, Startup Portland, Maine Startup and Create Week and Venture Hall. He believes that the opportunities of the future will be build on the the foundation of innovation and entrepreneurship. He lives in Portland with his wife and two young children.